Health bar is highly demanded because they are full of nutrients, vitamins, protein, and minerals that keep your body healthy and muscles strong. These are highly recommended by the gym trainers and loved by the fitness freaks. Nikos is the place from where you can buy the Health Bars In Pune Mumbai. These are supplement food bars; it is a quick, tasty and healthy solution that everyone should include in their daily routine. Being the most successful Health Food Bars Suppliers In India, we make these food bars available quickly to our customers, so, they can buy it without spending the fortune. They are useful for athletes, who spend their whole day doing strenuous physical training. 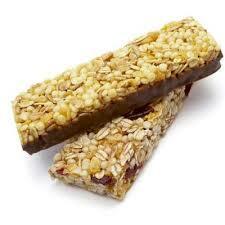 Why Should You Eat Organic Health Bars? Convenient To Eat Anytime Of The Day: These best protein health bars are very handy and you can easily carry it with whenever you are out, so, you can have it when you feel hungry. Healthy Snack: These bars are made with rich almonds, nuts, and other healthy ingredients, which make it a very healthy snack for all. You can even add it to their kid box, so, they can have something good and healthy when they feel hungry. Satisfy Your Sweet Craving: If you are a sweet lover, so, these Natural Health Bars may satisfy your health problems and give a sweet treat to your taste buds. It satisfies your craving and makes you feel fuller even having a very small amount of it. Build Lean Muscle Mass: These Sugar-Free Health Bars are highly recommended to the gym trainers, so, they can gain muscle and not the fat. It is very easy to digest and makes you feel fuller for a longer period. So, what are you waiting for? Curb your cravings and satisfy your taste buds in a healthy and tasty way. Pick your phone and place your order right away to get their delivery to your doorway shortly.